Specifically built to teach the drawing of blood and performing of injections, our Canine IV Trainer is the perfect pedagogical tool for this purpose. It is realistically sculpted as the hind limb of a dog. This simple product will help students become accustomed to these tactile procedures. 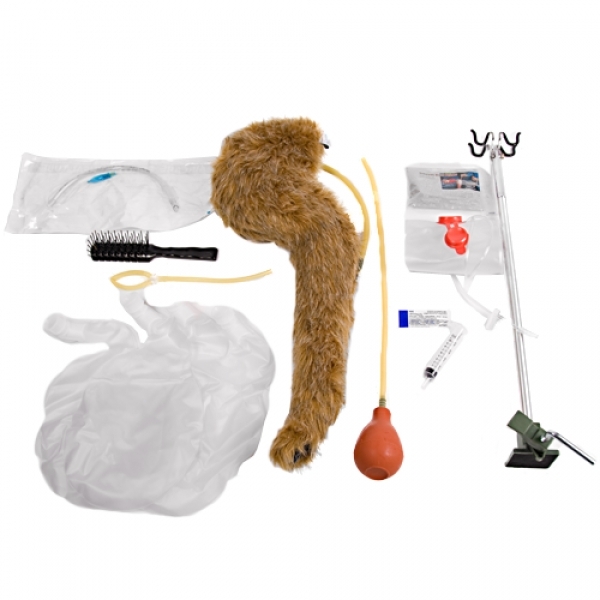 The Rear Leg IV Trainer comes complete with stand, artificial blood, blood bag and fur brush in a duffle bag.